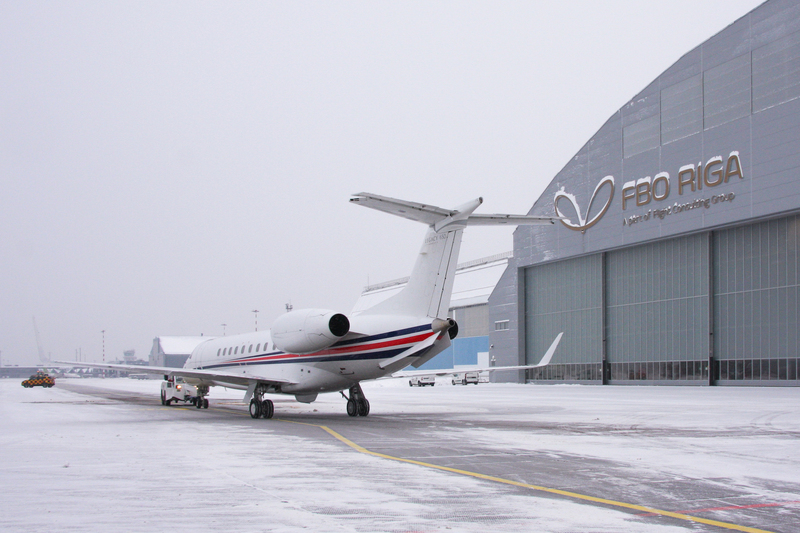 FBO RIGA, an operator of business aviation center at the Riga Airport, and Jet Flight Service, an international MRO provider for business aviation, announce the launch of an Embraer authorized service center at FBO RIGA. The first Embraer Legacy 650 aircraft has already finished C-check servicing at the new facility. The aircraft was undergoing a 96-month inspection together with the installation of ADSB OUT, FANS-1A systems and the replacement of fuselage nose section skins. The second Embraer Legacy 650 is now undergoing C-check servicing. 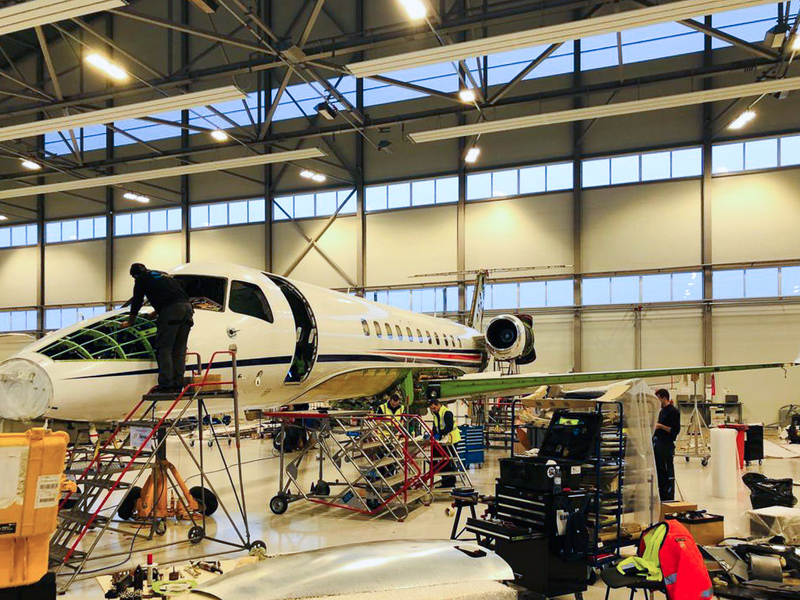 Jet Flight Service maintenance facility in Riga is certified for line and base maintenance activities of the EMB-135BJ family (Legacy 600/650) as well as line maintenance of the EMB-450/550 (Legacy 450/500) and Gulfstream G450. Its capacity allows to perform C-checks of two Legacy 600/650s simultaneously. The partners are also going to enhance the capabilities for component maintenance and repair in Riga in order to reduce ground time spent for maintenance. “Embraer business jets are popular among operators and owners in Europe and the CIS. However, we see a lack of MRO centers that provide quality maintenance and repair services for these aircraft. We decided to offer a worthy alternative in partnership with FBO RIGA. Along with extensive knowledge and experience we now offer favorably priced, fast and flexible MRO solutions in Riga”, said Frantisek Budin, Jet Flight Service Base Maintenance Manager in Riga. “FBO infrastructure and the level of MRO services are very important for business jet operators. Together with Jet Flight Service professionals we have applied many years of experience and knowledge to create the Embraer authorized service center on the basis of our infrastructure and gather a team of highly skilled mechanics, engineers and managers. 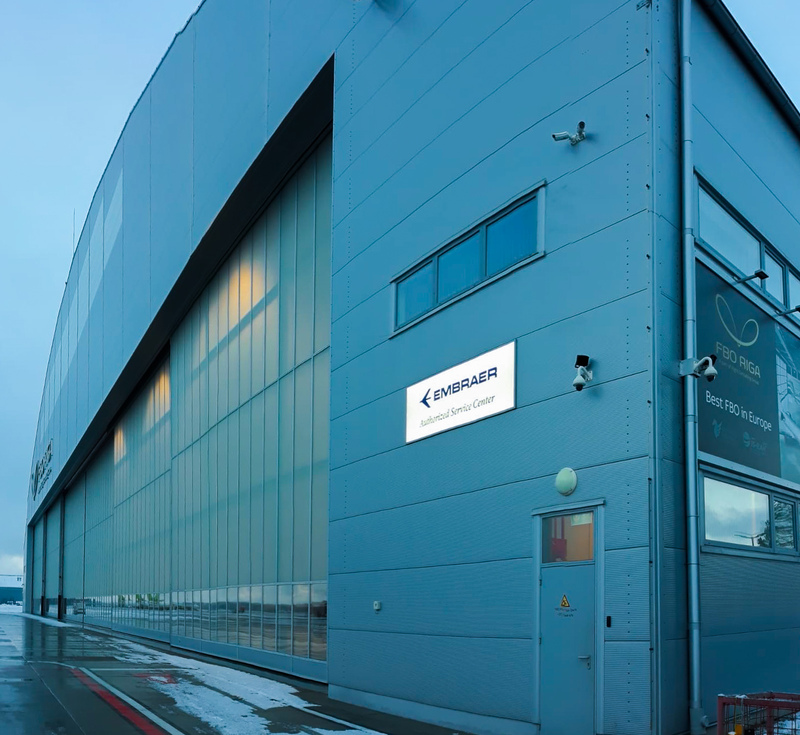 Riga’s favorable geographic location, quality of our service and timely delivery of spare parts and components will be attractive for customers from both the West and the East”, said Roman Starkov, co-owner of FBO RIGA. Jet Flight Service was founded in 2002 starting with the support of Russia’s first Embraer-135BJ aircraft. Over the years the company has expanded its expertise to cover Embraer Legacy 600/650, and the Gulfstream aircraft family up to its flagship G550, as well as the Boeing BBJ. Jet Flight Service is an Embraer Authorized Service Center, a Honeywell Authorized Service Centerand Dealer and a Rockwell Collins Authorized Service Centerand Dealer. Certificates of the company allow to perform maintenance on virtually the entire line of Gulfstream aircraft.